What Patio Door Style Is The Best? A Range Of Options Are Available... So Which One Should You Choose? 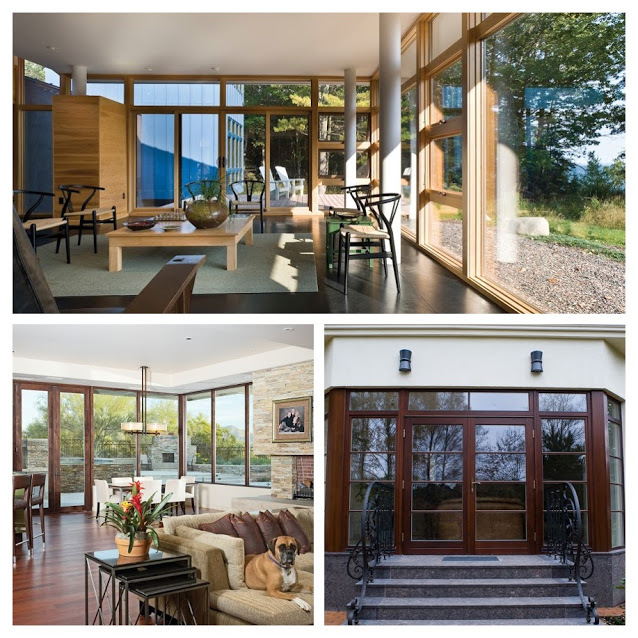 Home » News » What Patio Door Style Is The Best? Opening up a new or old extension to your garden requires a lot of planning in terms of both design and functionality. 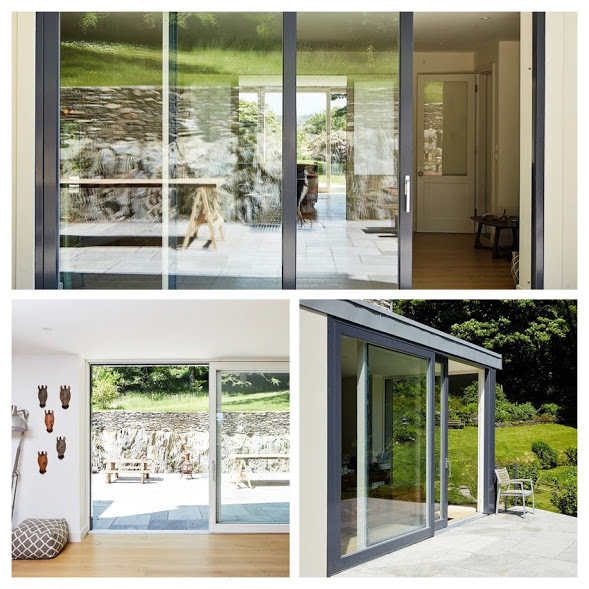 There are a vast range patio door styles that connect the interior to the exterior of your home such as Bi-Fold Doors, French Doors, Lift & Slide Doors, Fixed Windows or a Combination of Windows and Doors, but which one style of patio door should you choose? At Signature, we understand how deciding on the perfect solution can often be frustrating and overwhelming at times. This is why we’ve created this short guide that will help you look at the different options that are available and which one will provide you with the most satisfaction in terms of style, performance and comfort. What Are The Different Patio Door Styles? Choosing a patio door style that will satisfy both aesthetic beauty and performance is crucial to the style of the door that you want. Here are just a few of the options available to you at Signature. The Traditional Double French Door provides a simple, practical and elegant classic design. With its graceful lines and smooth space saving operations, the Double French Door provides a luxurious feel and will complement any space. With a more traditional feel and appearance in terms of patio door styles, the Double French Door is the perfect solution for you if you seek a simplistic and budget friendly solution. Signature’s French Doors are available in both Timber and AluClad wood, which will provide a classic design with contemporary performance. Often many period style homes (Victorian, Edwardian etc.) opt for Timber French Doors in order to maintain their architectural integrity. More modern style homes who wish to create a traditional design, opt for Aluminium Clad Wood French Doors to create a more contemporary tone. It is therefore important to take in the architectural style of your home when considering the various designs of Double French Doors. These beautifully engineered doors glide effortlessly along their track to fold smoothly to one side, stylishly and effortlessly connecting your space to the outdoors or to another room. Delivering a large sizeable door opening, this option will provide you with the greatest opening resulting in an entrance that infuses a room with fresh air and spectacular views. Signature’s Bi-Fold Doors can be configured from 2 to 8 panels with maximum panel sizes of 900mm wide by 2350mm high allowing you to create a glass wall that you can completely slide open. If you’re looking for an elegant and luxury style entrance solution, this is defiantly an option worth considering. Learn more here. If your looking for clean sight lines, then the Lift & Slide Door is the perfect patio door design for you. The larger glass panels allow for a much wider and uninterrupted view when compared to Bi-Fold Doors due to the nature of their designs. Signature’s Lift & Slide Doors are developed for smooth operation, performance and amazing durability. 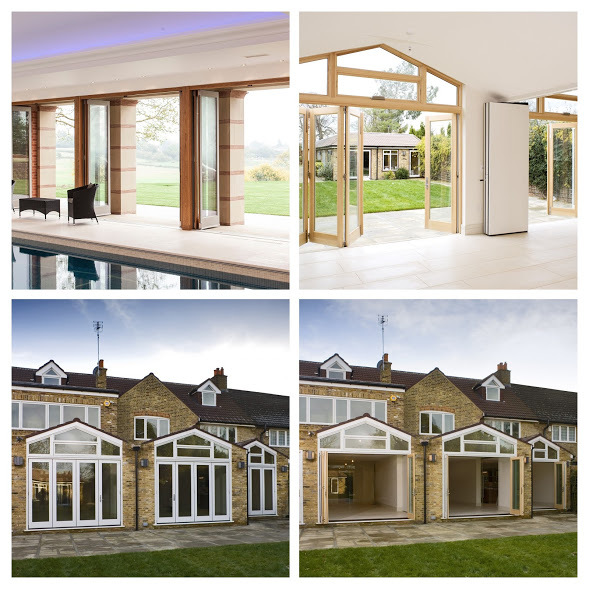 Learn more about our Lift & Slide Doors here. The Lift & Slide Door is, however, unable to open fully to one side like the Bi-Fold Doors. Thus if you’re looking to be able to open your entrance fully, it would be best to consider the Bi-Fold Doors. But if you require uninterrupted views with a larger glass panel and don’t mind being unable to open up your entrance fully, then the Lift & Slide Door would be a better solution for you. Fixed windows are an excellent feature to consider if you already have an alternative access to the outdoors. Large fixed windows are often used in kitchen settings along a counter to allow for large scale clear views and the entrance of natural lighting. Other styles include tall fixed windows that allow for an even greater amount of natural light entrance that infuses a room with warmth and beauty. In this stunning interior setup, we can see how effective this full-width special corner shaped fixed window is strategically placed along a counter top to create a full cinematic view of the surrounding scenery. The scenery almost becomes a part of the interior design. If you’re installing a patio door to your extension, take it a step further by having windows installed around it. Whether it’s a side light on only one side or windows surrounding the door, adding windows to your new patio door adds visual interest as well as natural light. A very popular option is to combine French Doors with feature windows that creates a very elegant and classic design. Deciding on the type of material that your new window or door consists of is a very important factor to take under consideration. Materials affect the overall feel of your products, aesthetics, performance, durability and energy efficiency. Therefor it is important to highlight the factors and needs that you want from your windows and doors in order to match them with type of material that will satisfy them. When it comes to materials, what you pay for is what you get. As people are becoming more aware of their environment many are looking for natural products when choosing windows and doors for their homes. When choosing wood windows and doors today people do not have to compromise on comfort or durability, choice of style, shape or colour. High quality wood windows and doors now offer style, comfort, warmth and durability to any home and are increasingly the first choice of architects and designers. Timber provides the greatest amount of beauty due to the natural element that comes with it. Timber also is a natural insulator making it a very energy efficient choice. Signature’s timber products consist of solid construction guaranteed by laminating together a triple layering of wood to ensure no warping or sticking.Three layers are used because this technology prevents the window frame from warping and increases the lifetime of the windows. While timber products do require some maintenance, it is not a frequent occurrence if you take good care of your windows and doors. Aluminium is a modern high-tech product characterized by versatility and indestructibility combined with low weight. Being weatherproof, it provides optimum external protection for the wood creating a low maintenance solution. Aluminium clad wood windows and doors last a life time because the cladding aluminium protects the exterior surfaces of the wood giving it long-term protection from the negative environmental influences: rain, snow and sunlight. Signature offer’s a special range of aluminium clad wood options with very slim profiles that results in beautiful and stylish designs. 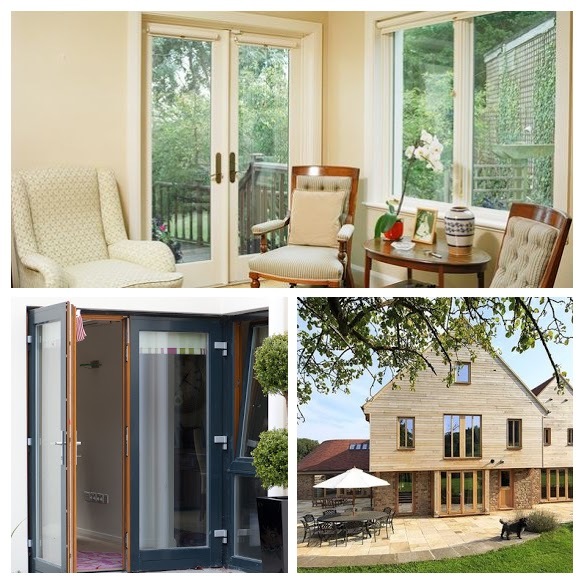 Signature Windows & Doors aluminium profile systems provide optimum ventilation to ensure that no humidity will concentrate between the aluminium profile and the wood. All Signature aluminium clad wood windows are made-to-measure and can be fitted with a complete range of opening and closing solutions. uPVC products provide a maintenance free and cheaper alternative. However uPVC products are often bulky and ugly in design which can lead to devaluing of a property. While uPVC is a low maintenance solution, it does come at an environmental price. The production of uPVC products is very hazardous to the environment due to the toxic fumes released during production and the high reliance on oil. If you are seeking products based on price alone, uPVC is the perfect option for you. But if you are looking for a window and door solution which is unique in design, with high energy performance, and will enhance the overall aesthetics and value of your home, the two previous materials will provide a better solution for you. 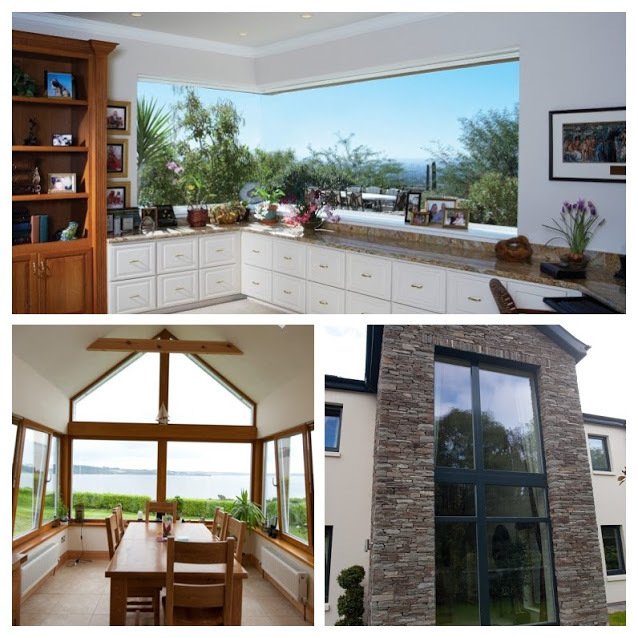 If you have any further queries surrounding patio door styles, a new build, replacement or conservation projects, why not contact us today and avail of a free on-site design consultation? Click on the link below to book an appointment with one of our windows and doors specialists.